According to the EPA, a paperless office can save $80 per employee on an annual basis. For companies with 400 employees, that is $32,000 per year. Paperless initiatives start at the top with the board of directors. 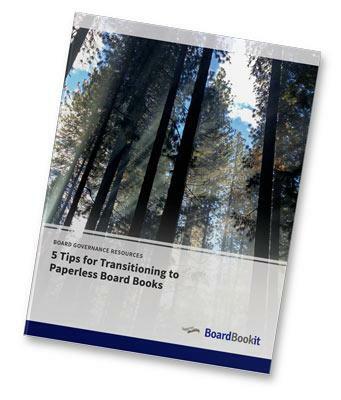 Board administrators spend endless hours and countless funds on preparing, printing, and shipping paper boardbooks. Administrators can create electronic boardbooks in a matter of minutes with drag-and-drop technology on an intuitive platform like BoardBookit. Start saving with our tips and tricks for a paperless transition today.